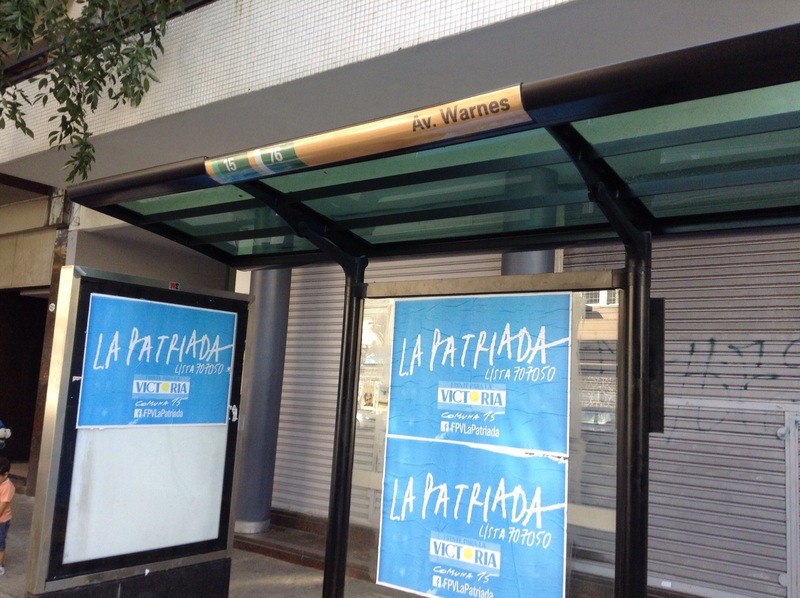 All over the city, nice new bus shelters have been put in. They are great for everybody – for the older people who want to sit down on the bench, for all of us who want shelter from the rain, and because they give clear information on the bus routes. They are nicely designed as well and a week ago they were put up all over my neighborhood. I was really happy! 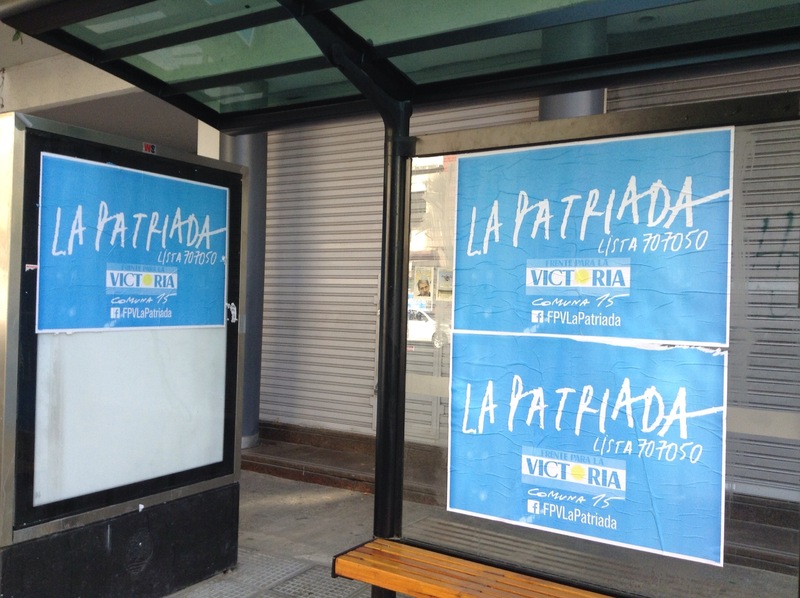 Then, on Friday, I noticed that every single one of them had been covered in large posters for La Patriada, which is a list presenting candidates to the local elections in Comuna 15, under the Frente para la Victoria umbrella (i.e. pro-president Cristina Fernández de Kirchner.) Comuna 15 includes Villa Crespo – Paternal – Agronomía – Villa Ortuzar – Chacarita – Parque Chas. I got SO angry! I am still fuming. I know that lack of respect for property is rampant here, both public and private, but I found it both heartbreaking and infuriating that something SO new, and SO useful to all of us, had been defaced by none other than pro-government forces. (The city is run by the opposition – I am personally a huge fan – and the president really, really hates the mayor, Mauricio Macri.) They even put the posters all over the actual paid ads, that finances part of this investment… Boy, I think my blood pressure is going up as I write. Time to calm down. But it makes me so, so sad. This entry was posted in Buenos Aires, Daily life, Politics, Villa Crespo. Bookmark the permalink. Bueno, si, no de todo, pero en general si! 🙂 Podemos hacer un intercambio de pais jiji! Ja! Jeg blir saa sint!